Steidl Press, 2001. 176 pp., 48 color and 109 black-and-white illustrations, 9½x11¾". 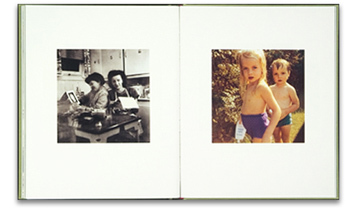 The images in FLOH are photographs discovered by Tacita Dean in flea markets across Europe and America. These portraits, holiday snapshots, documents of banal occurrences or spectacular views have all been retrieved and given a new existence. They keep the silence of the flea market; the silence they had when they were found; the silence of the lost object. This, however, is found photography with a twist. 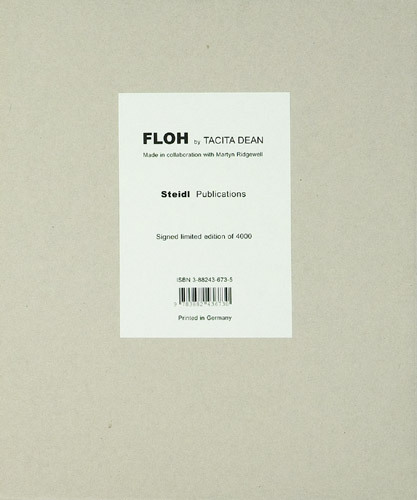 In FLOH, it is presented as art: beautifully printed in a linen cover, slipcased volume, and each copy of the book is signed and numbered by the artist. 'Eventually, Tacita Dean stopped going to flea markets for fear of finding an image that 'should have been in the book', but then resolved to believe that there isn't, and can never be, a final version to this collection. FLOH exists in the continuum and will one day return ownerless and silent to its origins in the flea market. PK768-LTD Limited Edition is no longer available.